A new line of Indian writers have made a distinct mark of their own on the contemporary literary scene. Many new authors like Aravind Adiga, Chetan Bhagat, Sarita Mandanna, together with the known old warhorses like Vikram Seth and Amitav Ghosh have been a revelation to the ever changing face of English literature in India. One such name is of Kaveri Nambisan, who has, quite surreptitiously though, made a mark in the world of literature. Kaveri Nambisan was born in the beautiful coffee and spice district of Karnataka, Coorg. She studied to be a doctor from St. John’s Medical College, and later went to England for her FRCS. When she could not find peace in England, she came back to India to work in the rural sector. She is a surgeon and she’s carried her medical skills to remote places like Mokama in Bihar, which is a dacoit infested place. She went on to work in other rural areas in Uttar Pradesh, Tamil Nadu, and Karnataka. She even won the Tata Excellence Award for her contribution as a doctor in the state of Tamil Nadu. She was first married to Dr. K. R. Bhatt, who was her colleague at St. Johns. The marriage ended after 18 years of togetherness and a daughter, Chetna. She then married a well-known poet Vijay Nambisan. Currently she is working as a medical advisor at the Tata Coffee Hospital in the Kodagu district of Karnataka, her birth place. Kaveri set foot in the writing business through a magazine for women. She, however, did not continue with it as she could not find a forte in it. She found her calling in writing stories for children. She even won the UNICEF CBT award for her children’s story titled ‘Once Upon a Forest’, which even made it to television. 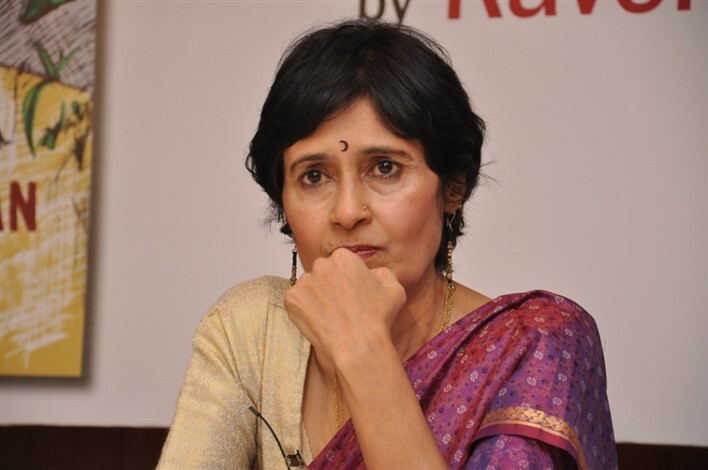 She then transcended into the realm of serious writing when she wrote the book ‘The Truth (Almost) About Bharat’, which Penguin India published in 1991. The book revolved around a span of three months in the life of Bharat, a medical student and his journey. It was written from a male’s point of view. The other books written by Kaveri are ‘The Hills of Angheri’, ‘Mango Colored Fish’, ‘On the Wings of Butterflies’, and ‘The Scent of Pepper’. Kaveri writes voraciously on health issues and also against female foeticide. She also participates often as an active member of the Association of Rural Surgeons of India. She was given the honor of being invited to the University of Iowa under the fellowship of the International Writing Program. Her novels were read in colleges of repute in the US, including universities like Cornell, Yale, Berkley, and Columbia when she visited the country.